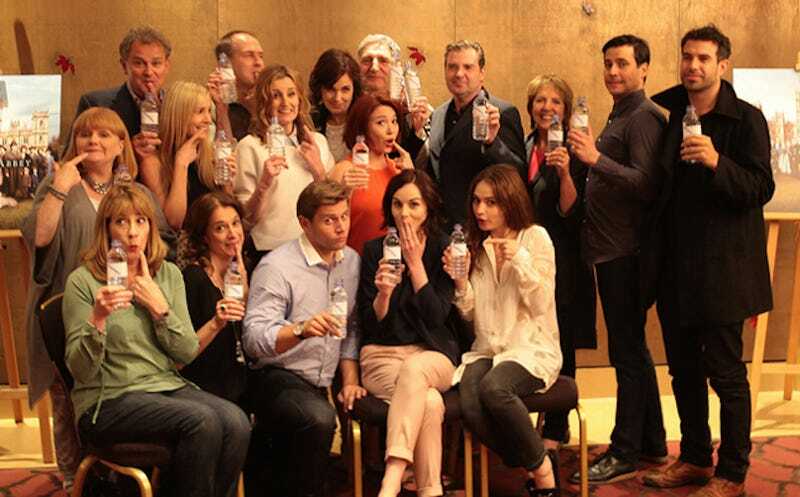 Last week, the internet world was torn asunder when a promo image from the upcoming season of Downton Abbey surfaced featuring a plastic water bottle in the background. But now, the cast has taken the silly blunder and turned it into a way to raise money for clean water around the world. Show 'em, Downton! An itv spokesperson said, "After seeing the reaction the picture caused earlier this week, the cast and crew came up with the idea of turning some of this attention towards an issue around water that really matters. They hope that by posing for this picture they will be able to raise awareness and amplify the work of international charity - WaterAid." The UK government plans to match every pound donated to the charity. Well played, folks. Also, I apologize, but I will never get used to seeing this cast in normal people clothes. It's confounding.